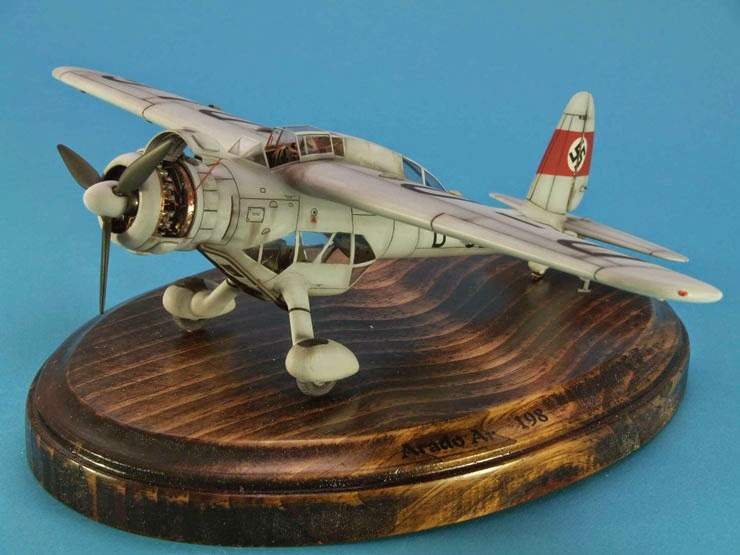 The Arado Ar 198 was intended to replace the Henschel He 46 as a tactical reconnaissance and army-cooperation aircraft. Designed in 1937, the parasol-winged monoplane had a length of 11.8 m (38 ft 8.5 in), a span of 14.9 m (48 ft 10.5 in), a height of 4.50 m (14 ft 9.5 in), and an empty weight of 2,400 kg (5,290 lbs). Powered by a 900-hp BMW Bramo Fafnir 323A 9-cylinder radial engine, it had a maximum speed of 359 km/h (223 mph) and a range of 1,081 km (672 miles). The Ar 198 was to be armed with two 7.92-mm, manually aimed, rear-firing MG 15 machine guns (one dorsal, the other ventral) and two fixed, forward- firing 7.92-mm MG 17 machine guns. Four 50-kg (110-lb) bombs could be carried on wing racks. Judged by the RLM too conventional, old-fashioned and unattractive, the Ar 198 was rejected after only three prototypes were built. 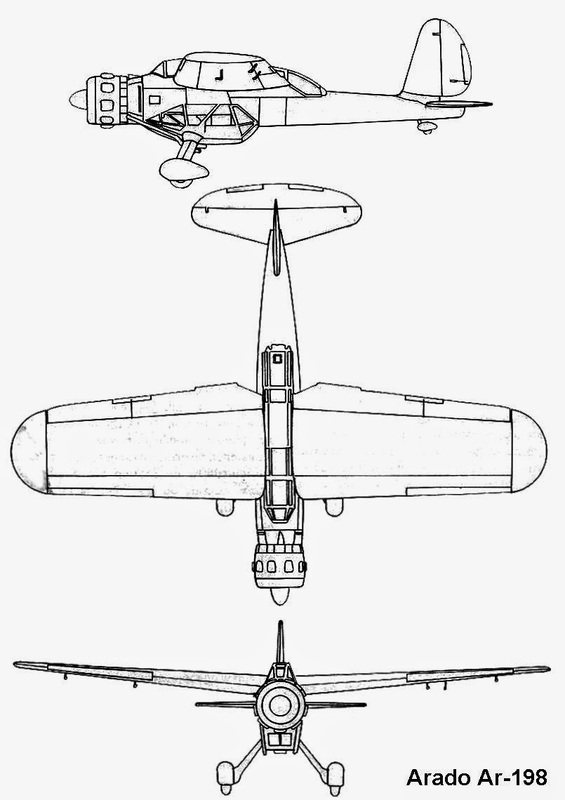 More advanced recon aircraft with higher performance were ordered instead (e.g., Focke-Wulf Fw 189 and Blohm & Voss Bv 141).